Is Your Pet Into Working Out? Pets require a regular fitness regimen to keep them on the road to good health, so make an appointment with your pet’s health. Experts tend to agree that 30 minutes a day, four times a week, is enough exercise for a dog. However, just like it is for humans, a daily workout would be better. For cats, experts suggest 15 minutes of exercise each day to stay healthy. However, two 15 minute sessions for indoor cats are optimal. Some ideas for the dog set include playing fetch with your pooch. Go for a long walk or jog. Play a wild game of chase. If your dog is a water-lover, go for a swim! Have fun! Whatever game you can drum up that will get your dog’s heart pounding is great! Cats tend to engage in social play, such as romping, wrestling, and chasing. Or, they get into object play, such as stalking, pouncing, or chasing an object around the house. When it comes to exercising your cat, focus on the object play. Are there some great benefits to all of this? 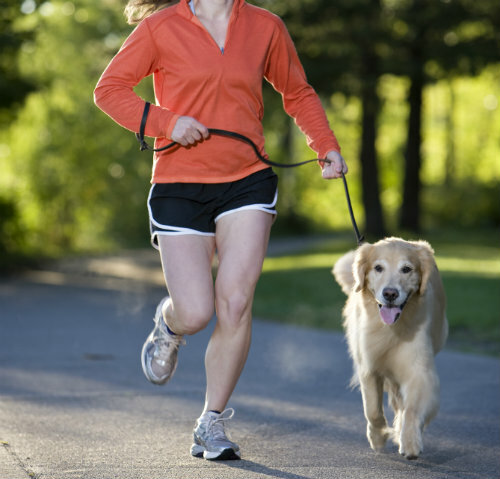 Pets who experience regular exercise tend to act out less frequently. They will gain social skills through the constant interaction with you. You will bond with your pet. Above all, the health of your pet will be improved and he/she can most likely live a longer, healthier, and happier life! Cats: We Never Cease to Amaze! I’ve Got Soap in My Eyes Again!